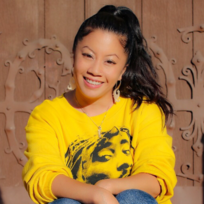 Nicole Lee is the Founding Executive Director of Urban Peace Movement, she is a fourth-generation Oakland resident who has spent the past 20 years in labor and community organizing and youth development work, with a focus on economic justice and juvenile justice issues. Some of the campaigns she has worked on include the Books Not Bars Campaign (a project of the Ella Baker Center), the Silence The Violence Campaign (which Nicole co-founded under the Ella Baker Center), and the Revive Oakland Campaign (a coalition facilitated by the East Bay Alliance for a Sustainable Economy). 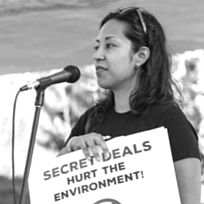 Before founding Urban Peace Movement in 2009, Nicole worked for such organizations as the Unite/HERE Local 2850, the East Bay Alliance for a Sustainable Economy, and the Ella Baker Center for Human Rights. E.J. 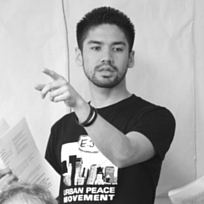 Pavia is the Youth Coordinator of Urban Peace Movement. 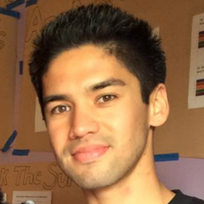 At UC Santa Cruz he earned a B.A. in Latin American and Latino Studies with a concentration in Social Justice, while also gaining experience in multi-cultural theatre and creative writing. He is passionate about providing a safe space for youth to heal from personal and community trauma. The mantra “uplift someone higher than yourself” guides him both personally and professionally. Adimu Maydun facilitates the Determination Black Men’s Group. 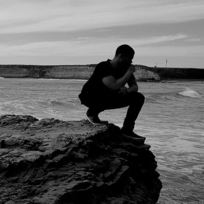 He has lived in Oakland for for more than 12 years and lived Southern Africa for 5 years. Adimu has a BA in Black Studies from California State University Long Beach. He’s an artist, musician, filmmaker, actor, and enjoys spending time with his family and traveling the world. 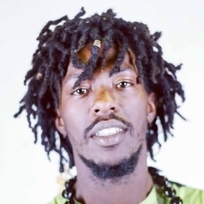 Adimu is focused on spreading peace, prosperity, and positive, progressive, universal vibes. 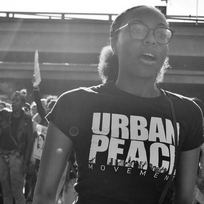 Kaila Mathis is a Program Associate with Urban Peace Movement. 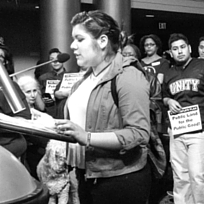 She first started organizing with UPM as an intern in 2016 where she got her first experience with community organizing while working alongside the Justice Reinvestment Coalition of Alameda County and the Jobs 4 Freedom Campaign, which called for the Alameda County Board of Supervisors to support and endorse the creation of quality jobs for formerly incarcerated community members. Kaila has also worked on UPM campaigns and initiatives such as the Freedom 4 Dajon Campaign, 510 Day, and the Know Your DA Campaign. She currently works with the youth of the Leaders in Training Program of UPM. 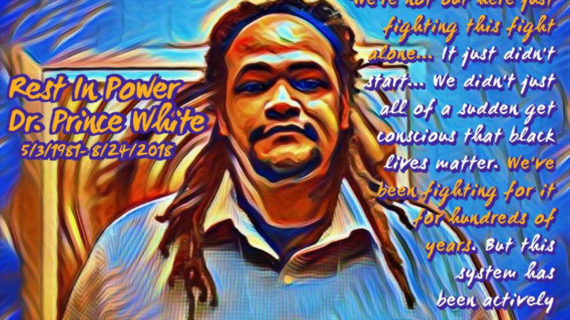 Leo Mercer is a Program Fellow with Urban Peace Movement who currently works on UPM’s DA Accountability efforts and is a member of the Determination Black Men’s Group. 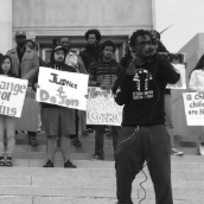 Born and raised in Oakland, Leo is an artist and community organizer, a student, father, and mentor to the youth in his community. 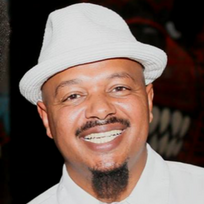 His community work and activism dates back to 2009, when he began advocating for communities of color in his city and neighboring cities. 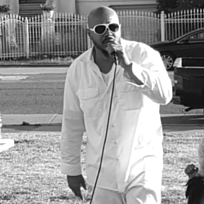 Leo advocates for cultural and political issues affecting the Black & Brown community and the Hip Hop community. He aspires to be a cultural professional that changes the current narrative of hip hop music through education and stories. 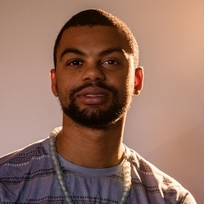 Zay Coleman is a Program Fellow with Urban Peace Movement. 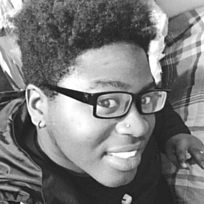 Zay currently works on UPM’s DA Accountability efforts and is a member of the Determination Black Men’s Group. He also leads community outreach for UPM. Zay is an Oakland native and a West Oakland resident. He always brings vibrant energy and enthusiasm to his work for social justice. He has worked on such campaigns and the Know Your DA Campaign, the Freedom 4 Dajon Campaign, and the Revive Oakland Campaign. Xiomara Castro is the co-founder of Urban Peace Movement and assists the organization with special projects. 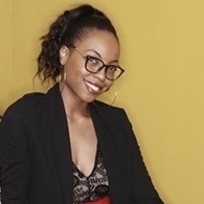 She has a long and dedicated background in youth organizing and popular education in the Bay Area and has worked for organizations including Global Exchange and the Ella Baker Center for Human Rights. In 2001 she co-founded Art in Action Youth Leadership Program, an arts activism organization that hosted an annual youth summer camp for young adults. 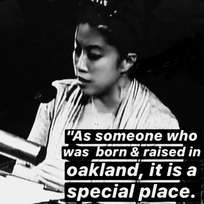 Jennifer was born and raised in East Oakland, and has worked for positive change throughout Oakland ever since she was a Junior in high school. 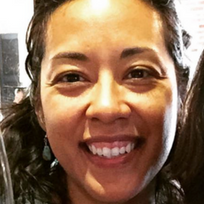 She worked for a pilot program to provide free bus passes for students in Alameda County, gathered signatures for Measure FF to raise the minimum wage, and raised awareness on the issue of police brutality. Her life goal is to graduate from the University of California at Davis, and become an immigration attorney to help people in her community. Her hobbies include volleyball, reading, photography, and fighting for social justice. DeMario is from West Oakland where his Grandmother raised him. 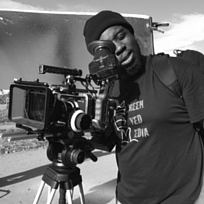 He started learning graphic design with the DetermiNation Black Men’s Group in 2013. He founded his own company called BLK Graphics (Born Living Kings), which offers graphic design to the community for a low and affordable rate to help people bring their vision to life. He is engaged in community work, and has met with legislators and testifed at the State Capitol as part of the effort to improve the lives of boys and men of color. DeMario enjoys hanging out with his son Elijah, listening to rap and jazz music, and playing sports like basketball and bowling. Currently he is taking more of a leadership role in DetermiNation and eventually wants to start a nonprofit for youth to help build self-esteem and a better outlook on life.